Think about a paper cut caused by a thin edge, a shaving nick caused by the smallest imperfection in a blade, or a bite from a mosquito you barely see that may carry deadly diseases. These injuries prove that the neither the size of the wound nor the size of the culprit determines the impact. As a bed bug law firm in Oakland, San Francisco, and Santa Rosa, we have worked closely with the victims of bed bug infestations and know just how much these tiny creatures (despite not being linked to the spread of any diseases) can impact your life. Last October, The Atlantic reported on the effects of a bed bug infestation. The story opens by sharing the writer’s experiences coping with the pests. She jokes about “bed bug PTSD” and then turns to actual research studies suggesting bed bugs leave people anxious, depressed, and paranoid. Stéphane Perron is a doctor and researcher who has looked at the psychological ramifications residential bed bug infestations. Perron compared the mental states of renters in apartments that had been reported as unsafe including units with and without the pests. 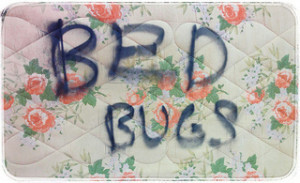 Attempting to control for socioeconomic status and other variables, he found that respondents with bed bugs were much more likely than their un-infested counterparts to report anxiety and sleep disruptions. Jerome Goddard, another bed bug researcher, looked at posts on web forums dealing with bed bugs and found 81% of posters described symptoms akin to PTSD such as depression, paranoia, hypervigilance, and obsessive thoughts. As the article clearly notes, these are preliminary studies with a number of limitations, such as the failure to control for the mental state of interviewees prior to an infestation. Still, the authors strongly believe bed bugs cause at some unique form of mental stress distinct from that found with fleas, mosquitos, tics, and other biting insects. Why are bed bugs unique? The article proposes several potential reasons including that bed bugs strike when people are most vulnerable and feeling (real or imagined) bugs crawling on their skin can make sleep all but impossible for sufferers. The response to an infestation often involves packing belongings into garbage bags, a distressing way to live, and admitting one suffers from bed bugs is a sure path to social isolation. Further, there’s added pain when sufferers cannot afford expensive treatments. Nature is beautiful, but when certain creatures invade our homes, suffering follows. This is made worse when those who are supposed to help turn a blind eye. While some landlords are caring and responsive, far too many ignore renters’ complaints or elect for inexpensive “fixes” that don’t do the job and can actually cause an infestation to spread. This occurs despite Civil Code 1941.1 which clearly provides that the presence of vermin can render a unit untenable and decisions like Green v. Superior Court that require all rental properties meet a minimum standard of habitability. As a bed bug attorney in Oakland, Santa Rosa, and San Francisco, Greg Brod uses the law to help Northern Californians who are afflicted with bed bugs because of the actions (or failure to act) of another person or entity. We take cases on behalf of individuals and also represent groups of plaintiffs, such as numerous tenants in an infected complex or groups of complexes, in California bed bug class actions. Call for a free consultation.